Many of you may be thinking...."I thought this girl went to school for baking. Why does she keep talking about & cooking savory foods instead of pastries & desserts?" Well, I never liked baking at home and currently am not working in the industry. I always end up eating what I make and cakes and cookies don't really make for a well-balanced dinner. I love making them, just don't want to eat it. A pastry chef without a sweet tooth, if you will! But when the baking itch gets me, I must scratch it. 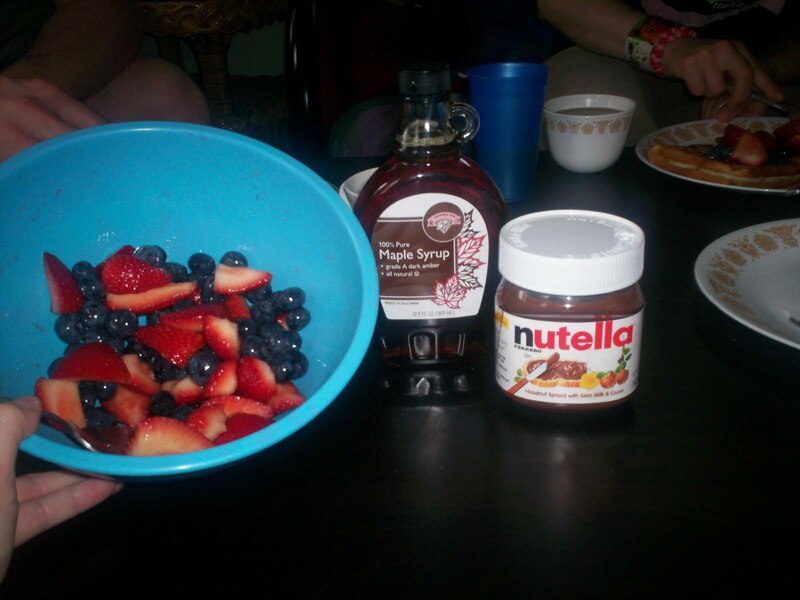 This week we were having a big breakfast with a couple friends to celebrate the beginning of summer. The plan was to make waffles and I have a GREAT recipe from a restaurant I worked at in San Francisco, Farallon. This was one of my most favorite jobs. It was the most organized and professional pastry kitchen I ever had the pleasure to be apart of. Once in awhile, we would take breakfast items and turn them into lovely desserts. For example, a pluot jelly filled donut dusted with cardamon sugar w/coffee anglaise and pluot caramel sauce. Delicious! The waffles we made traditionally went with a frozen maple mousse, apple marmalade and bourbon vanilla bean caramel sauce. But we are in Portland, Maine now - this is how we are making them today. This recipe is pretty simple and you can prep the ingredients the night before. It will make for an easier, more enjoyable morning. 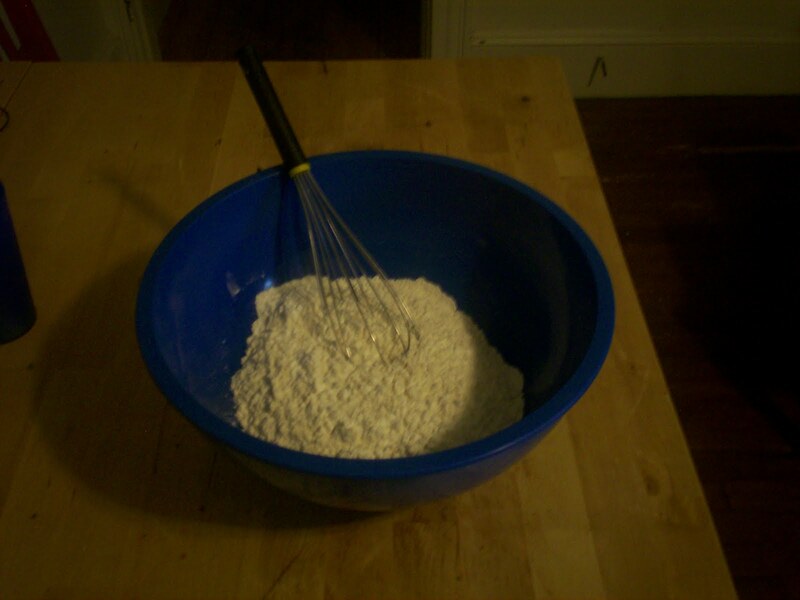 2) In a medium sized bowl, combine and whisk dry ingredients together (flour, cornstarch, salt, baking powder and baking soda). 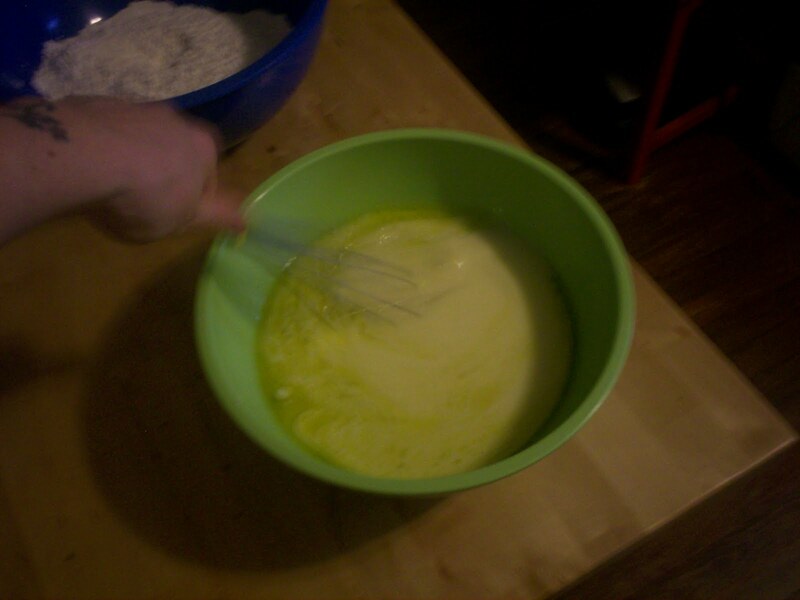 In a large measuring cup or bowl, combine wet ingredients (buttermilk, milk, grapeseed oil, vanilla extract and egg yolks). These can be covered with saran wrap and held overnight. If you want to prep the ingredients the night before. 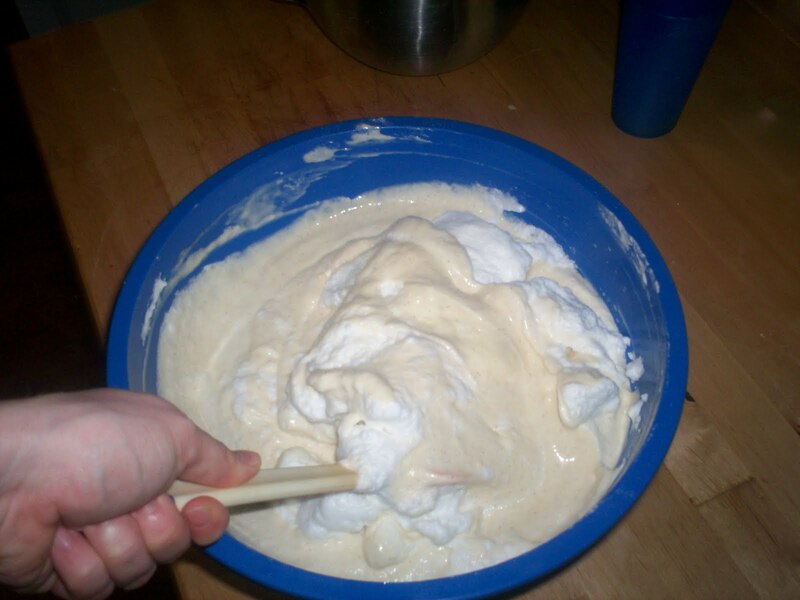 The wet ingredients can be held in the fridge overnight. 3) When your ready to make it all come together, combine the wet and the dry ingredients. Whisk them just till blended, don't over mix the batter. 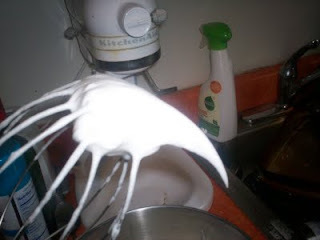 4) In a small bowl, whisk the egg whites till foamy. Add the sugar and beat till firm and glossy. 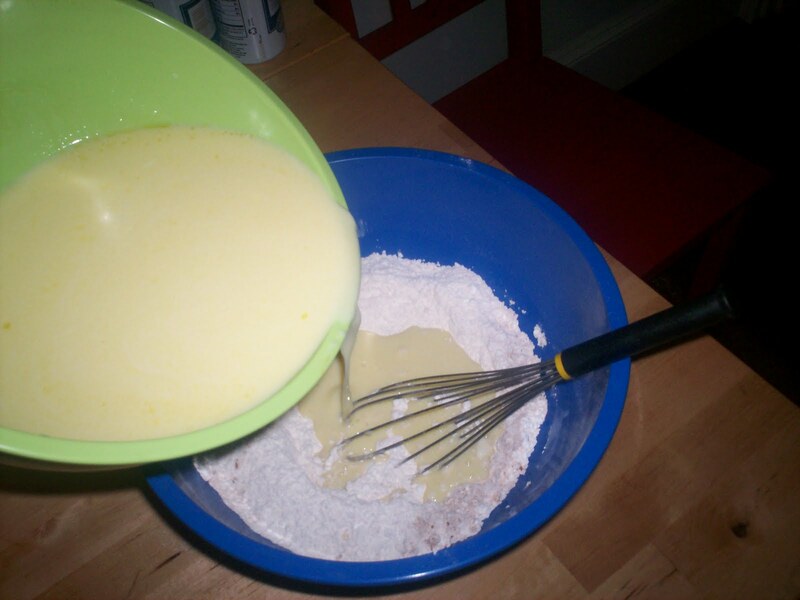 You can do this by hand or with a mixer. 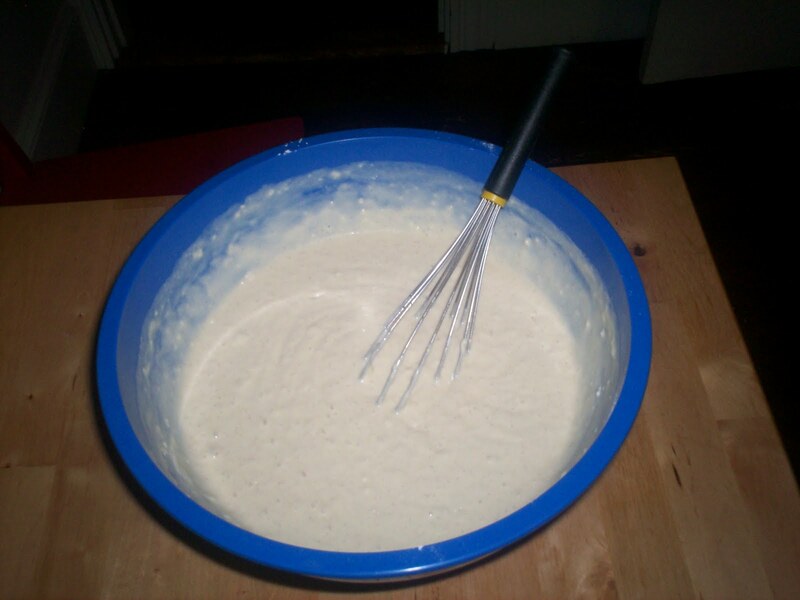 5) Gently fold the beaten egg whites into the batter. DO NOT OVER MIX! 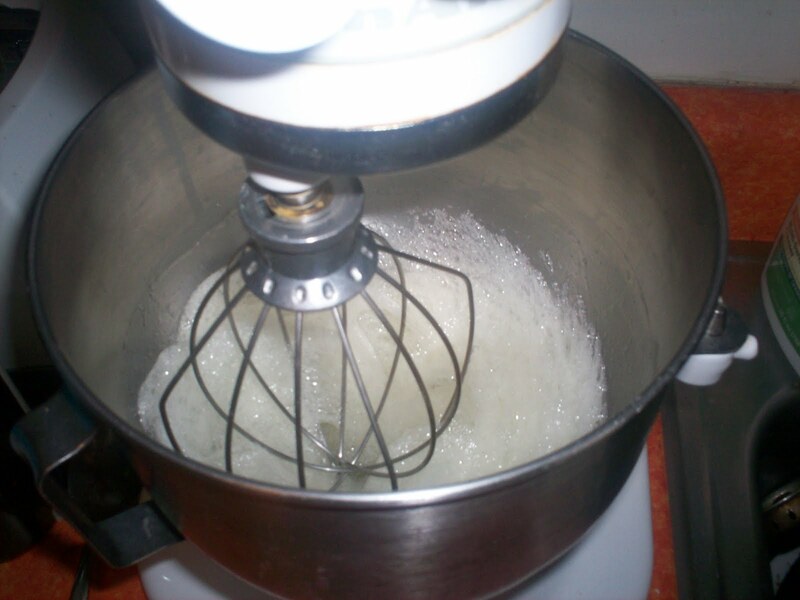 6) Your ready to start making waffles! Make sure the iron is good and hot. The first run always comes out bad, just remember that. 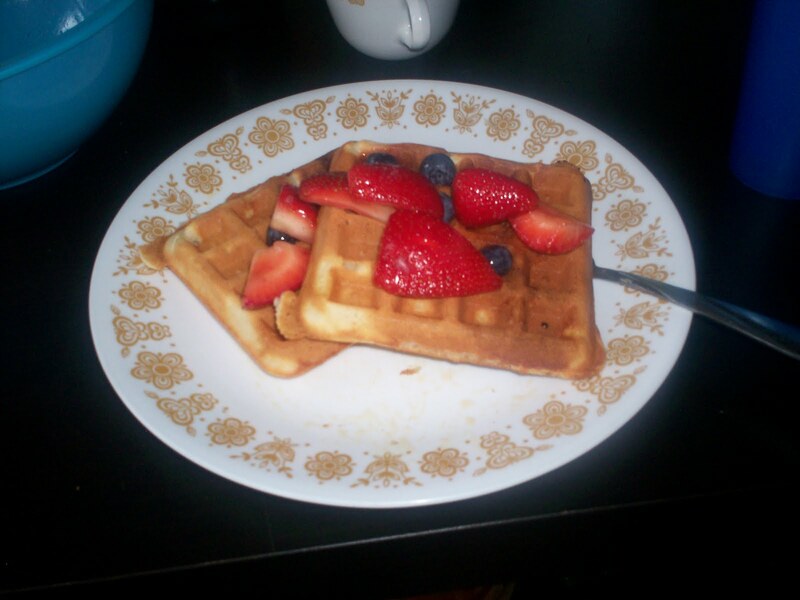 Like I said, everyone's waffle maker is different so all I'm going to say is bake them to a nice golden brown. Don't respray the iron after every waffle, maybe every 3 times. Our friend Amber brought over some strawberries and blueberries. I know many would want to make a compote with them, but I like something a bit fresher. 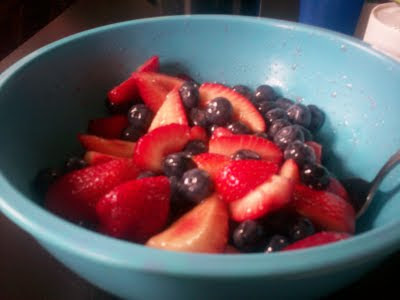 I quartered the strawberries, tossed in the blueberries and added a little bit of sugar. Just enough to dust the fruit and let it sit for awhile to macerate and draw the juices out. And of course waffles (or french toast....or pancakes for that matter!) would not be complete without the proper condiments! One of our most delicious breakfasts! And a wonderful way to kick-off Summer for our readers! Have fun with the waffles, get creative with different fruits, sauces and so on.